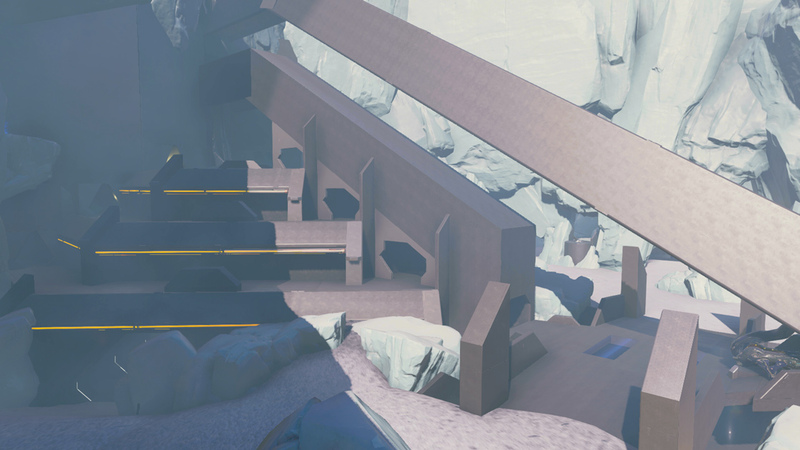 Happy Thursday and welcome to this week's Halo Community Update! I'm back in the saddle this week after wrestling the keyboard away from Grim so I hope you'll pardon the absence of ample alliteration accentuation (nobody can weave those words quite like good ole Grim!) and 4/20 puns. 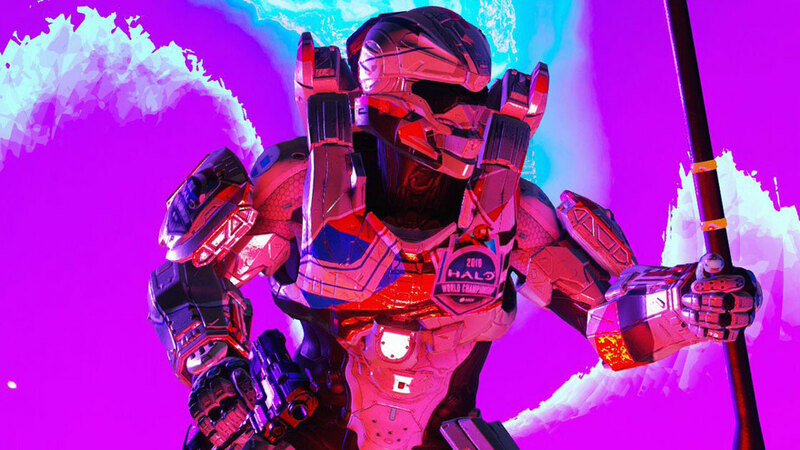 We've got plenty to get to this week including the much-anticipated release of Halo Wars 2's next new leader, a huge refresh to Halo 5's Big Team Battle playlist, an update on HCS Daytona, the return of the 343 Team Spotlight and a slew of awesome community creations. Let's get to it! After a bit of a delay in the name of quality assurance, the next new leader for Halo Wars 2 is ready to go for Xbox One and Windows 10! You can check out the trailer below and head over to the Colony Launch blog for the full scoop. As a reminder, there are still five more leaders on the way along with two new campaign missions so there's plenty more Halo Wars 2 goodness to look forward to! You down with BTB? Yeah, you know me! As you may have heard by now, Big Team Battle received a pretty hefty update earlier today. Now that we have time sit down and talk about it, let's get into the details. Assault has made its debut in the Big Team Battle playlist and will be playable on several maps. Big Team Assault features Halo 5's default Assault rules, but with a longer game time and BR starts. 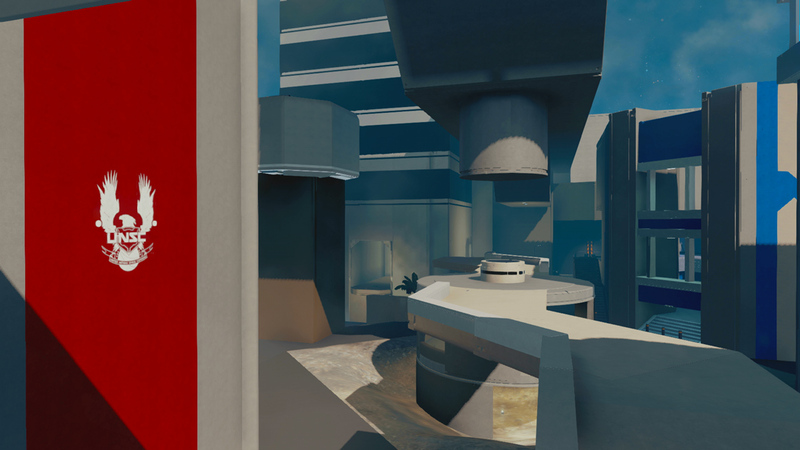 You'll be able to play this mode on a good portion of the symmetrical BTB maps that are in the playlist. We first spotted this very memorable map last summer in this video by Forge Labs. After the initial wow-factor, we started to notice that it would need quite a bit of work to help balance out the ziggurat in the middle of the map. D4rkDeath understood the task at hand, and embarked on a mission, which has now come to a successful conclusion. Echoes was very nearly ready during our last Big Team Battle refresh, but we wanted to have The Grim Dealer [this is not my Forge-specific smurf account, to be clear - Grim] give the map a little more love before we declared it ready for matchmaking. With this extra time, he was able to give the map another art pass, make a few gameplay changes, and make the map feel truly unique. We're very excited to see you capture flags and score goals on this map. 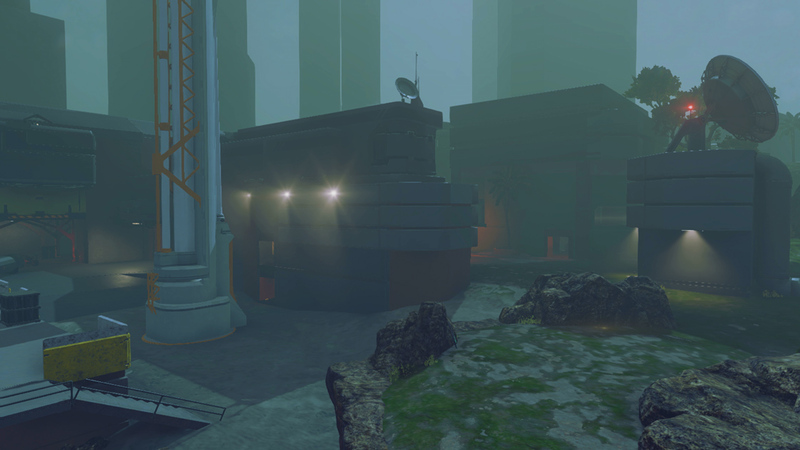 Originally created in Halo: Reach by MockNizzle008, he decided to recreate it using the numerous features in Halo 5's Forge. The result was a map that is full of street engagements, building to building engagements, all sprinkled with some intense close quarter combat. 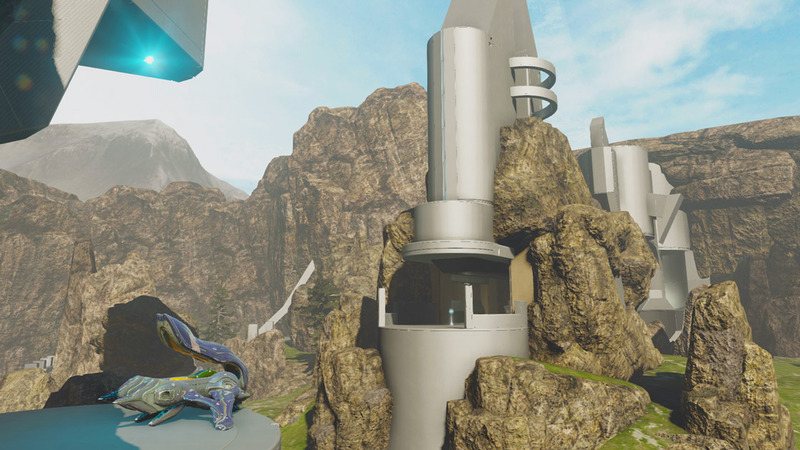 This beautiful addition is actually a remix of Uplift, a map from Halo 2 Vista. D3LTA V did an incredible job with balancing and blending the Forerunner design with the beach on this canvas, and his work cannnot be overstated. While this map was initially messaged back in our Big Team Battle Community Refresh blog, it ended up having a few show-stoppers that caused it to be held back. However, after working to resolve those issues, it is now truly ready to go, and will be playable in BTB. Now that we've talked about the addition of Assault and the new maps, let's dive into the specific map and mode combinations you'll be able to find in the playlist. We are really happy with these changes, and we hope you enjoy them too! Now, let's talk about the next Halo Championship Series event! HCS Daytona by UMG is only two weeks away! There’s still time to jump in and grab team passes ($75K in prizing), FFA passes ($5K in prizing) and spectator passes to be a part of this epic east coast event. Head over to the UMG site right now and get signed up! It’s competitive Halo, it’s an Open event AND it’s in sunny Daytona Beach, FL so let’s gooooo! The open brackets at Daytona will be seeded via two Placement Cups that are being run by our partners at Millennial Esports. The first Placement Cup is this weekend, April 29-30, with the second taking place May 6-7. To register and learn more, head to MillennialEsports.gg! In addition, if you missed it the first time around, you can get the full scoop on the HCS Pro League North American 2017 details right here. As always, stay tuned to @HCS and Halo.gg for the latest and greatest news and developments! 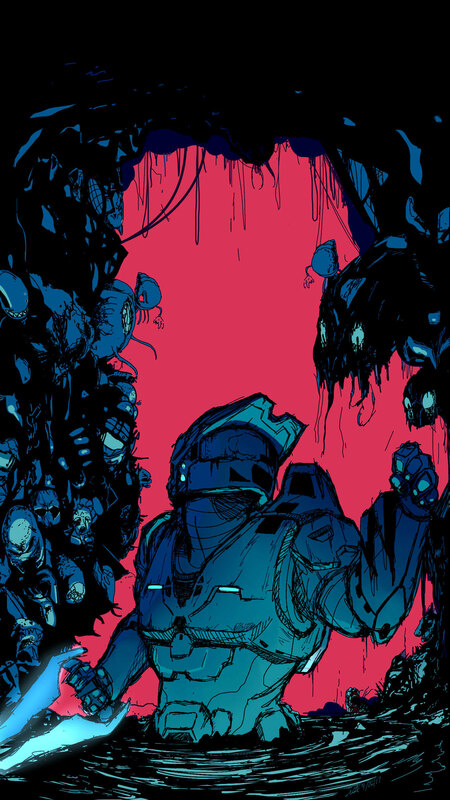 This week marked the return of Gray Team with the release of Halo: Envoy by Tobias Buckell! Available now in print, digital and audio formats. Check it out! In conjunction with the release of the 15th (!!!) season of Red vs. Blue, Wired took a look at the history of the series as well as the dramatically changing landscape of modern-day Machinima since RvB debuted in 2003. Head over to Wired.com and give it a read. Halo: Combat Evolved has been nominated for the World Video Game Hall of Fame! Help us secure Halo's rightful place in history and cast your vote! Check out the latest issue of GamesTM magazine for Frank O’Connor and Kiki Wolfkill’s thoughts on the past, present, and future of the Halo franchise. Frank’s comments about lessons learned from Halo 5’s Campaign seem to have parts of the community in a bit of an uproar. First it’s important to note that there’s a lot of speculation and assumptions being made out there – the next major Halo game hasn’t even been announced let alone any details about what the story may entail. Rest assured that while the studio has received feedback that players wanted to see more of Master Chief in Halo 5, that’s far from the only learnings the team has taken to heart. We are absolutely aware of the sentiment around the disconnects between the game’s marketing vs. what transpired in-game as well as issues such as the lack of splitscreen functionality, to name a few examples, and are always striving to learn and improve going forward. We’ll have plenty more to say when the time is right. 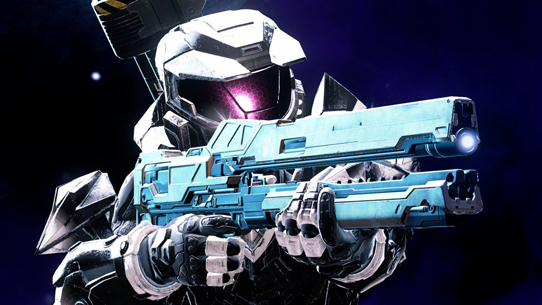 Halo 5 players should take note that the "Memories of Reach" REQ pack is back and available in the game for a limited time for $9.99 or 120,000 RP. 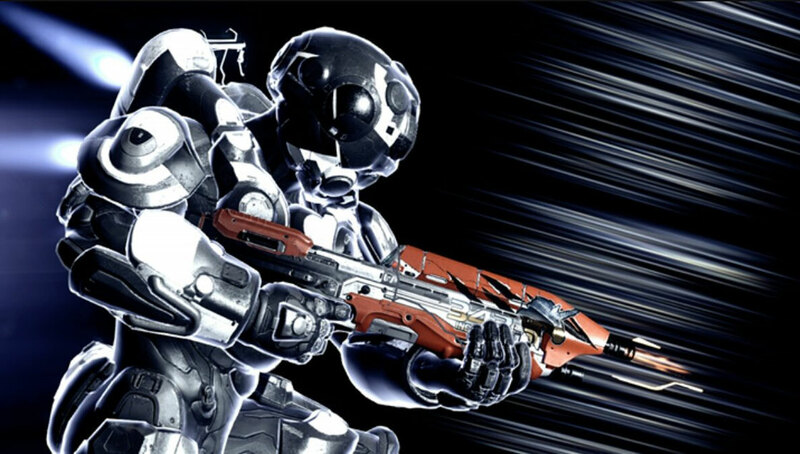 This includes the newer versions of the Noble Team armor along with the "Pro Pipe" and Grenade Launcher. Halo 5 players should also be sure to check out the latest rotational playlist, "Extermination" before it goes back into cryosleep. This will be the last weekend it's available (but don't fret, based on the great response I think it's safe to say the odds are good it will make a return at a later date!). Halo Wars: Definitive Edition celebrates it's one-week anniversary today since being released for standalone purchase on Xbox One, Win10 and Steam. You can read more about it in last week's launch blog. With the release of the Colony DLC you may have Lekgolo on the brain which makes this latest Loot Crate reveal a perfect fit. You probably already know that theme for the next Halo Crate is all about Noble Team and the battle for Reach (check out the sweet art!) but now we have our first look at the exclusive Halo Icons that'll come inside the sixth crate. Supplies are limited so get your order in by 9PM PT on 6/15! After a bulb replacement the spotlight is back in action and this week I'm pointing it towards the Halo Sandbox Team here at 343. Let's get to know Matt Koch! Hi Matt! Welcome to the 343 Team Spotlight! First thing’s first – what’s your role here at 343 and how long have you been with the team? 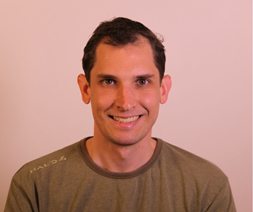 Matt: I’m a Senior Software Engineer on the Sandbox team, and I’ve been at the studio for about 6 years. What were you up to prior to joining 343? What’s your background? Matt: I worked at Sony Online Entertainment’s Seattle location for 3 years which was my first job out of college. Did you always aspire to work in the games industry? Matt: I knew what I wanted to do ever since the sixth grade when I had to write a paper on what I wanted to be when I grew up. What prompted you to join 343? Matt: When SOE Seattle got shutdown, I looked at local companies in the area. When I learned that a new studio, 343 Industries, was working on a new Halo game, I jumped at the opportunity. Halo is a franchise I enjoy greatly and have played every game in the series. Have you always been an engineer with the sandbox team or have you worked within other teams across the studio? Matt: I jumped around some throughout Halo 4’s development. I worked with the campaign team to develop the Mammoth as well as gameplay within mobile spaces like gondolas and elevators, and aided AI with some navigation mesh processing. Towards the end of Halo 4’s development I also aided the Sandbox team with some weapon and armor ability work, and have been on the Sandbox team ever since. What does being a senior engineer on the sandbox team entail? What’s a typical “day in the life” for you at 343? Matt: Being a senior engineer on the sandbox team involves working on a mixture of gameplay feature work as well the game foundation layer that rests just above the engine’s foundation. And of course we also work with people outside of just the Sandbox team to support their needs where applicable. On Halo 5 I worked primarily on the weapon system, adding new features and improving networked shot registration. Typically my day starts with a team standup where we quickly discuss current statuses with other Sandbox members. From there I work through tasks and bugs assigned to me for a given sprint, which for us is a 4-week period. When doing feature work I often have to collaborate and iterate with other disciplines. Can you speak a little about the team structure and what it means for the work the sandbox team does? Hasn't the way the team is setup changed? Matt: On Halo 4, the Sandbox team was a mixture of designers and engineers focused on mode agnostic gameplay systems (e.g. weapons, AI, vehicles, movement, and armor abilities). 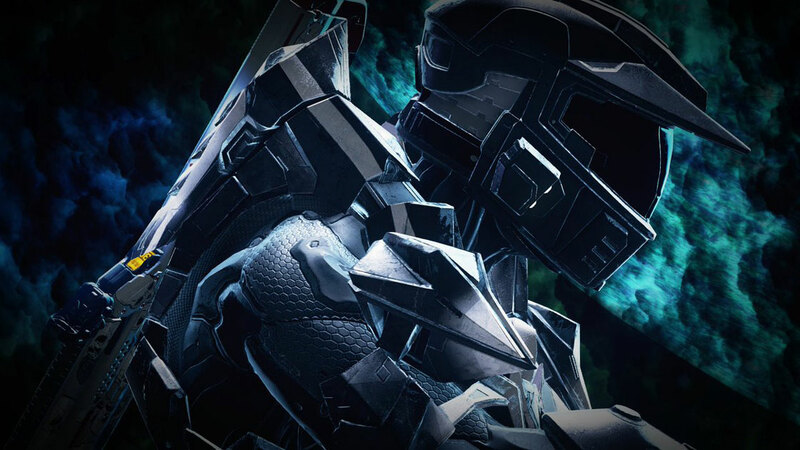 On Halo 5, AI was split from the Sandbox team into its own team. 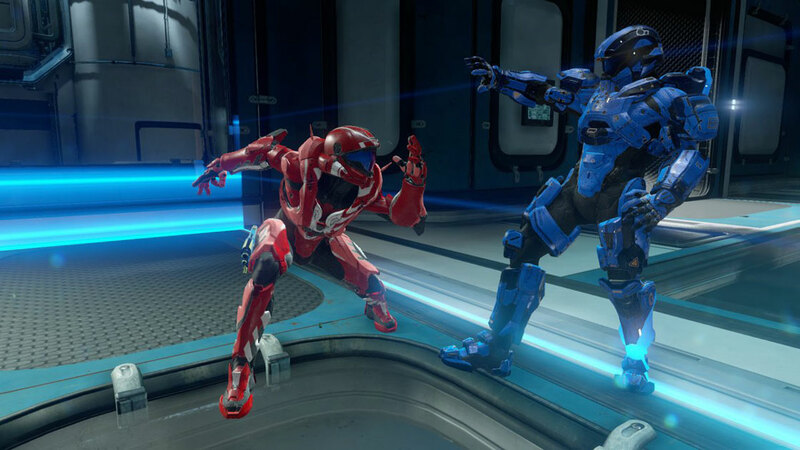 After Halo 5’s release, other disciplines have been incorporated into the Sandbox team, which has allowed animators, 3D artists, designers, engineers, and UI to all better align and work together in a variety of different areas. 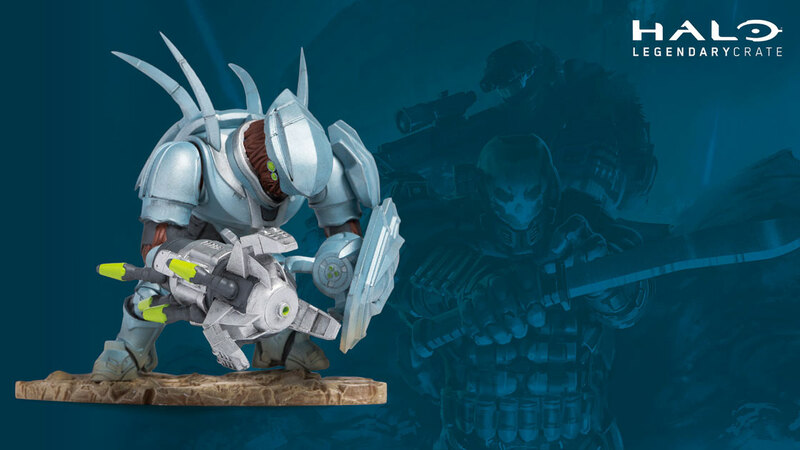 As a sandbox engineer your work touches almost every other team’s area of focus – how do you juggle the unique needs of the campaign, arena, and warzone teams? Matt: Sandbox’s gameplay code is designed to work in a mode-agnostic fashion. There are times when other teams require Sandbox expertise, and those tasks and bugs are then prioritized against other Sandbox work primarily by leads and producers. 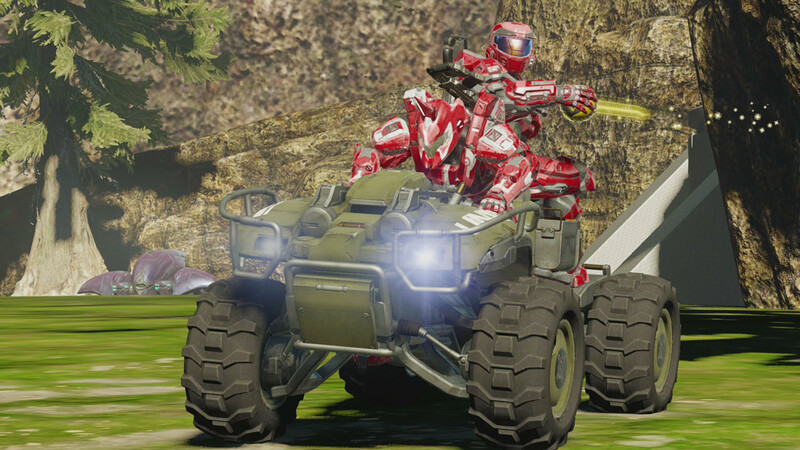 For example, I worked with the Arena team to get weapon pads online, helped the Warzone team by fixing vehicles going out of sync after leaving vehicle bays, and worked with campaign to fix issues with networked objects. What do you enjoy the most about being an engineer on the sandbox team? What’s the most challenging aspect of your job? Matt: I enjoy working on the core gameplay, and I'd say the most challenging aspect is dealing with a codebase that has a lot of complexities. Compare and contrast being an engineer on the sandbox team vs. other functional teams at 343 – do you need to have a bit more design sensibilities in addition to core engineering chops? Matt: A sandbox engineer needs to know game design well – that is where we excel relative to other engineers ;-). We also have to be jacks of all trades as we tend to interact with all teams and systems. And of course with being an online-heavy shooter, there is always the added challenge of having to carefully network our systems. 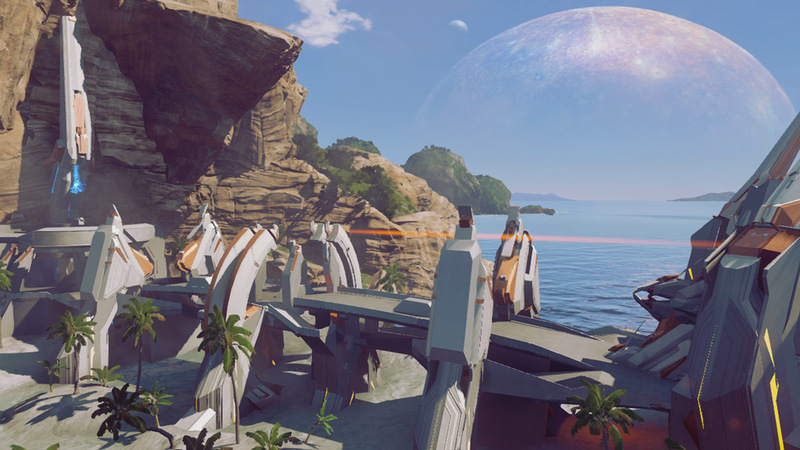 The Halo sandbox is sacred to many, many players, though over the years it’s also become very divisive as more changes and nuanced custom settings have emerged. How do you juggle the needs of so many disparate groups of players across so many different modes of play? Matt: Halo is a melting pot of different communities with each having its own needs and expectations. With the Sandbox our goal is to make gameplay that has approachable depth. For the most part, that appeals to everyone but sometimes individual communities do need additional attention. An example of this is when we added the Machinima mode in Halo 5. Has there ever been an example of the community doing something in the sandbox realm that genuinely shocked or surprised you? Matt: The Forge weapon pad glitch shocked me. In Halo 5 we better modularized weapons and created a system to modify them that was never meant to be player facing. People made some crazy combinations. I was scared something would break, but things seemed to hold up; It was nice to see people just have fun with it! For anyone aspiring to follow in your foosteps someday, what advice would you give? How can someone get a foot in the door? What training and experience is needed to be successful? Matt: For a gameplay engineer you need to start thinking about how a game works from both the design side and technical side. Satisfy your design curiosity by trying out different games and thinking why they did things the way they did. For the engineering side learn programming and make sure you enjoy it. There are a lot of colleges now that have game engineering focused degrees, but if that isn’t available to you a software engineering degree is sufficient as long as you devote time to making games as side projects. Internships can help greatly in giving you the experience necessary as well as getting you noticed. Do you have a favorite Halo game? Mode? Why? Matt: Halo 1 CTF LANs are what got me into Halo. I didn’t even have an Xbox at the time, but I still organized and participated in LAN parties for it. Playing split screen with friends in vehicular modes like CTF and Big Team Battle are some of my fondest Halo memories. Do you play many other games? If so, what’s your current play-list look like? Matt: I play a very large variety of games, including both smaller indie games as well as large AAA releases. Lastly, any final words or thoughts you’d like to share with our community? Matt: We all want to make Halo the best it can be! We are fans as well and we are always listening. I think it's important to point out that every sub-community has people who want to support you at the studio. Just keep being vocal, but also be respectful to others in the community and those on the development team. Attacks and hyperbole just divides us, when we should all be working together. Sage advice, Matt! Thanks for joining us for this week's Spotlight. I'm looking forward to circling back with you soon to talk specifically about some work you've been doing in Halo 5's sandbox. The Assault Rifle has been a hot topic amongst the competitive community but regardless of where you stand on the issues there’s no denying its iconic and revered place in Halo’s history. The AR may be going away from Pro settings for the time being but over at Reddit, nibs20 is doubling down, giving us even more Assault Rifle in full 3D-printed glory. Head over to Reddit to read more about it, and if you’re the lucky owner of a 3D printer, get the files and instructions you need to build one yourself! iSpiteful and AppleFanatic have teamed up to create a sweet Halo 5 montage that technically came out on March 31st but we missed it so we're shining the spotlight on it now! Check out this awesome drawing by Redditor youamnorealsaupersand! It's no secret I'm a sucker for some sweet, sweet Halo screenshots - especially ones that are extra-artsy or particularly funny! We've seen a big spike in screenshots across Twitter lately which is awesome. There will always be more than we can realistically spotlight but here are a few that stood out this past week from both seasoned screentshot stalwarts and new-comers alike. Remember, if you capture some awesome Halo screenshots be sure to share 'em and tag us on Twitter to possibly find yourself featured in a future spotlight! 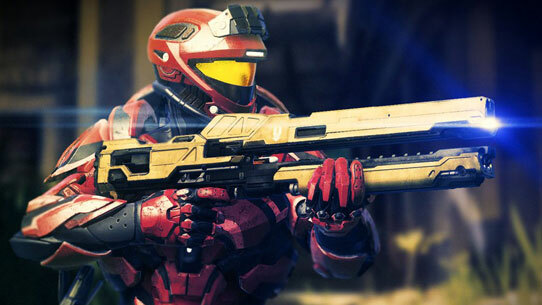 Plazma_Kill captured this beautiful Spartan close-up which is also the Waypoint module image for this week's blog. 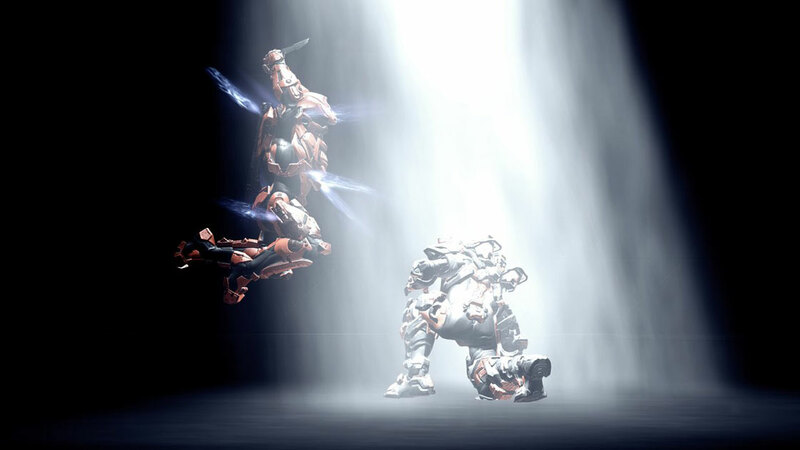 Bonus kudos to Plazma for the image in this week's Spotlight header featuring a touching fist-bump between two Spartan bros.
Primordial117 is at it again with this awesome moment of tranquility before an assassination connects. thepillarofaut1 is also back again, this time capturing a great sense of motion and showcasing a newly acquired sweet Unicorn Skin. P_Biancardi makes his debut in the Spotlight for this image which doesn't feature fancy effects or filters but does scream "DANCE BATTLE!" whenever I see it. 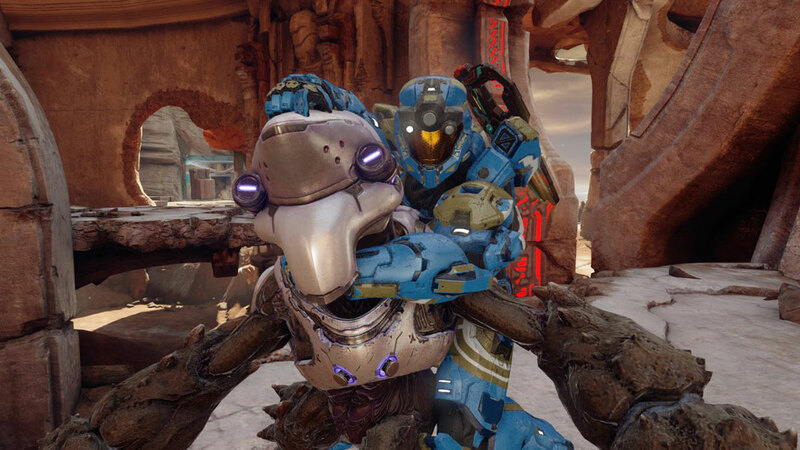 Nothing warms the heart like a Spartan getting a piggyback ride from an Ultra Grunt. Screenshot by RelaxedWallace. Tico_Dem0n is getting into the spirit with a hearty use of pastels in this HWC themed screenshot. And that, my friends, is a wrap! 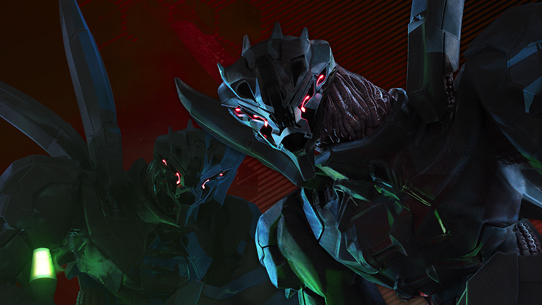 We hope you get a chance to jump into a few more Extermination games this weekend, checkout the newly refreshed Big Team Battle playlist and of course get your Lekgolo-on with the release of the latest DLC for Halo Wars 2! We'll see you online!